Databases For Charities: How do you compare like-for-like on CRM Suppliers’ Professional Services? How do you compare like-for-like on CRM Suppliers’ Professional Services? I’ve recently had several discussions with charities and database suppliers about how difficult it can be to compare different suppliers’ Professional Services during a database procurement. This is partly in terms of comparing the specific services/options they are offering, but of course it is often about being able to compare like-for-like in terms of cost. The charities have thus been confused or surprised that one supplier can claim to do something so much more cheaply than another; and some of the suppliers have themselves been cheesed off that a competitor has quoted so much less when they really believe that their competitor can't come close to offering the same services as they are doing with such a budget. (Some database suppliers do have a fair idea of what some of their competitors charge for services). Which, sadly, can entice the first supplier to 'minimise' their options too when they know they should be recommending the charity buys more. And thus the charity can't compare all the suppliers' professional services equally. This is of course one reason as to why some charities use consultants to help them with procurement because consultants do such work more often and can thus help their client compare like-for-like and with the knowledge of how specific suppliers work. So, for the benefit of all, I've listed here a few tips as to how I approach this potential conundrum and some specific things to look out for. Comparing like-for-like is important as much as possible. I understand this is the core of the matter but the important thing is to break down the suppliers' services costs into comparable sections; e.g. Specification, Development, Deployment, Data Migration, Post go-live support, Project Management etc. It is quite likely that different suppliers may have different terms for the same thing (e.g. 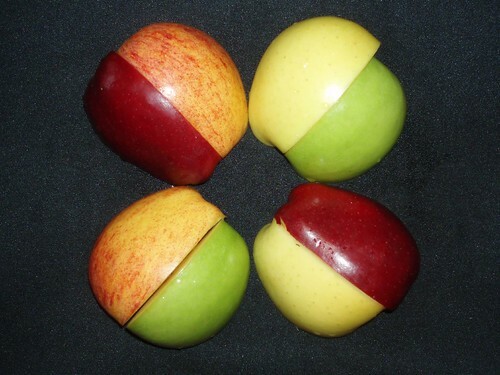 discovery phase or requirements document; configuration or development) but you need to understand that and thus be able to compare apples with apples. Ask suppliers to detail what they are actually offering in their written proposal and that should help you. But be aware that, say, if one company is offering 2 days training and another 10 days then that isn’t truly like-for-like, and the question therefore is whether one is under-estimating or the other over-estimating, or whether both could be right! See below for more thoughts on that awkward point. Ensure you include/consider all possible costs for all suppliers – even if some suppliers haven’t included them in their quotes/proposals. Some such costs will definitely be needed for all suppliers’ proposals (e.g. training, data migration), so if a supplier has not quoted for such an item at all, then ask them why not or make an allowance. That said, some costs may not be critical for all implementations (e.g. additional report writing, even go-live support for smaller projects) so in some instances it may genuinely be that some solutions will require different services. Comparing ‘traditional’, dedicated fundraising packages vs ‘generic’ CRM systems. I wrote a whole series of blogs recently about this, but in terms of professional services, for the “average size charity”, it might well be that some of the services required for the CRM systems are not needed at the same detail by fundraising package suppliers – and thus this aspect of the CRM systems will either genuinely be or appear to be more expensive. For example, a fundraising package may have Gift Aid, Prospect Management and income structure all built-in as standard, but some CRM systems may need to be configured or bespoked to manage these needs. (NB: this doesn’t make one better or worse! Again, read my blog posts giving a far more comprehensive comparison). Likewise, because CRM systems by their definition will need more configuration (but probably will have cheaper license costs), it may be more difficult for CRM suppliers to give accurate (or even ball-park) figures at the time of a proposal. They are more likely to need to do more work with your charity before they can provide such costs, and sometimes that discovery or feasibility work will be chargeable. Nothing (necessarily) wrong with that – but you need to build it into your cost comparison. Training: There can be all sorts of different ways of quoting for training, aside from the fact that one supplier may, say, recommend 3 days and another 12 days. For example, on/off-site training; user vs admin/power-users; “generic system training” (e.g. Salesforce admin training) vs system-specific; training all users vs train-the-trainer approach; and so on. Check each quote. And see below about my thoughts on dramatically different recommendations of, say, the number of days required. Integration with your website: Integrating with your website to automate data integration with your fundraising database for online donations, event registrations etc can really vary in the functionality being offered, the simplicity, ability, technical approach, comprehensiveness, customisation, automation and, thus, cost. Check out exactly what each supplier is or is not quoting for and how accurate they feel they are being about such pricing. Remember other integration; e.g. third-party software, data feeds etc. If one supplier does include integration costs and another does not, then check with the one who has not as to why not. It might be that some such costs are standard functionality and are thus not needed, or it might be a package offering they are providing; or they might have “forgotten” or just not included it. Integration can be one of the most expensive aspects of any implementation so don’t brush this under the carpet. Data Migration. This is one of the hardest costs to compare. It is one of the hardest areas for any supplier to provide a quote on unless they spend some time looking at your data or unless they have a standard cost and just accept that they may spend more time on some project than others in doing this work. Although I would personally be cautious of that approach as I would be wary of what they were really offering and at what level of quality. I personally prefer quotes specifically oriented at my client's requirements. You can therefore take the estimate the supplier has given you and balance that against the other suppliers, but I would also talk further to any supplier who has quoted significantly less than the others. Why have they done that? What does/doesn’t it include? Do you have simple or complex data? A single or multiple sources? Are they allowing for multiple trial migrations as part of the project and thus charging less/more? And so on. One simple if crude approach, unless you have solid reasons to think otherwise, is to take the highest quote of all your suppliers and put that against them all. This takes this out of the equation in terms of pure costs. Of course, some systems will be different. Some will require less or more configuration, even if both are fundraising packages. Some may require less/more training, and so on. Talk to the suppliers, talk to their customers when you take references, talk to other charities online, at events etc. … then go back and ask them about it. There’s nothing wrong with telling them that other suppliers (although I wouldn’t personally, necessarily say the names of such suppliers) have quoted for a lot more, so why are they quoting so much less. They might be able to explain why you need less development time, or their in-house knowledge of your current system means that they know they can do something in less days; their software might be much simpler/limited in terms of functionality/customisation etc so they might really not need to do so much work on it (although you then need to remember that when comparing different systems...); or, for example, it might be that they genuinely believe you don’t need so much training. Or it might be that they had a caveat somewhere else in their proposal which stated they were only offering x days training and that you would need more if you wanted X,Y,Z… You’ll then at least be able to compare better, and you can then decide if that was a genuine oversight by that company or whether it was bit disingenuous. Do not assume that if company X has said you only need 10 days of their time, and company Y and Z have both said you’ll need 30, then X will ultimately be cheaper or better or right for you. Of course they may be - but it may be that they are offering less, both in terms of work and functionality, or they may be implying you “might” need more but haven’t included that in their “core costs”.